Geotechnical and Environmental Consulting Ltd. (GEC) is a geoenvironmental company based and working throughout southern England. The staff at GEC have many years experience in dealing with both contaminated land issues as well as producing cost-effective foundation solutions for a variety of developments. We pride ourselves on building strong relationships with our Clients as evidenced by our return work portfolio. 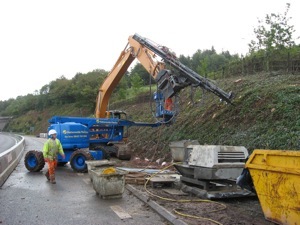 As a company we do not have the expensive infrastructure which you (the Client) would ultimately pay for when dealing with a large geotech consultancy. Therefore, we are confident that we can offer you first class professional services at very competitive rates. Please feel free to contact us for a no obligation quote and carry out your own cost comparison. Take time to peruse the services we offer. If you have a particular requirement that is not listed or you wish to discuss any of our services please contact us as I am sure we will be able to accommodate your needs.